Providing you the best range of smc junction box, pole mounted junction boxes, electrical junction box and street light junction box with effective & timely delivery. We offer our client a wide range of SMC Junction Box. 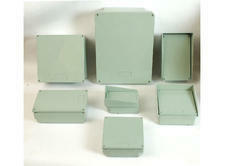 Unique Features : Above cover replaces hinged door & gasketing system, In – built Terminals suitable for four core cable. Sufficient space for fuse & circuit breaker. Suitable space for separating four core & Loop – in / Loop – out of the cable core. 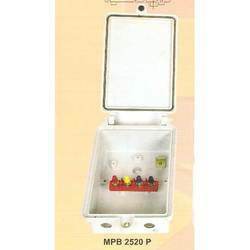 We offer Electrical Junction Box. 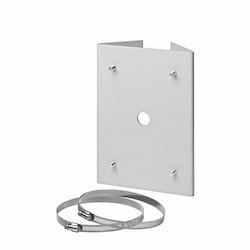 These boxes are available with inbuilt terminals as well as in plain format where in provision is kept to attach/ fit the external terminal plate separately. We offer Street Light Junction Box. These boxes can accommodate 63Amp. terminal plate & MCB. These boxes are made out of superior grade of SMC/DMC. They have top opening door facility. 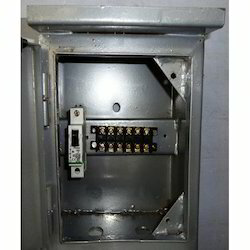 Furthermore, these junction boxes can be conveniently installed in small enclosures as per requirements.